Very soon holiday shoppers will be out in full force, and the stress of finding the perfect gift at the right price will be high! I love to shop, but I just can’t deal with the stress. I try to plan ahead, shop at stores with great deals (year round) and get my shopping done when and where best suits my schedule. 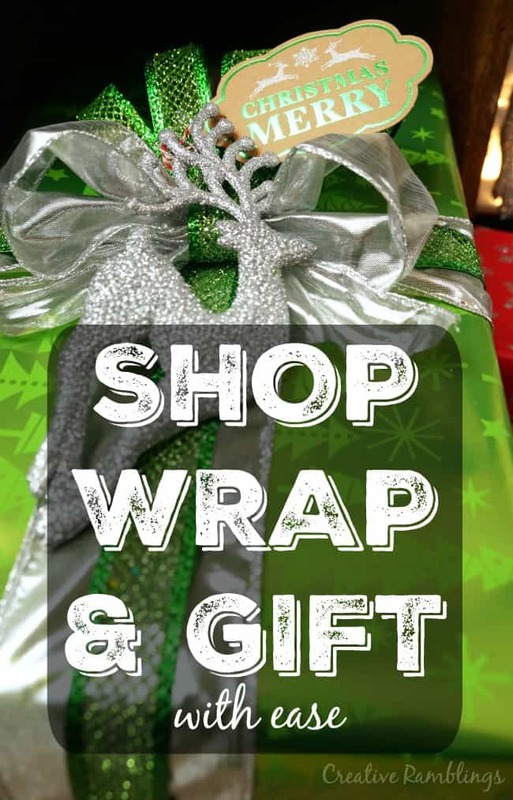 Take a look at how I plan shop wrap and gift with ease this holiday season. You can also download my FREE gift planning spreadsheet to help ease your holiday stress a bit. I am a planner, mainly because I don’t deal with stress well. I like to think things through and avoid unnecessary chaos in my life. I am so passionate about this I wrote a book, 7 Ways to Simplify Your Holidays. In it I talk about the importance of planning ahead specifically for holiday gifting to avoid overspending and last minute stressful shopping. You can download a FREE version of the spreadsheet I use and talk about in the book to plan gifts here. It’s a simple layout that allows you to set a total budget, as well as a per person budget. You can also list multiple gift ideas per person and track which ones you purchase and the final price. I filled in my spreadsheet last month and started shopping this month. I prefer to shop at stores where I can get multiple nice gifts at great prices, without having to wait for a special sale. Big Lots fits that bill. They have a huge selection and gifts for just about everyone on my list. If you haven’t been there in a while, now is the time to shop. You are bound to find quality, brand name, trendy items you can check off your gift list. Big lots has a great toy selection full of fun name brands, something for every age and interest. 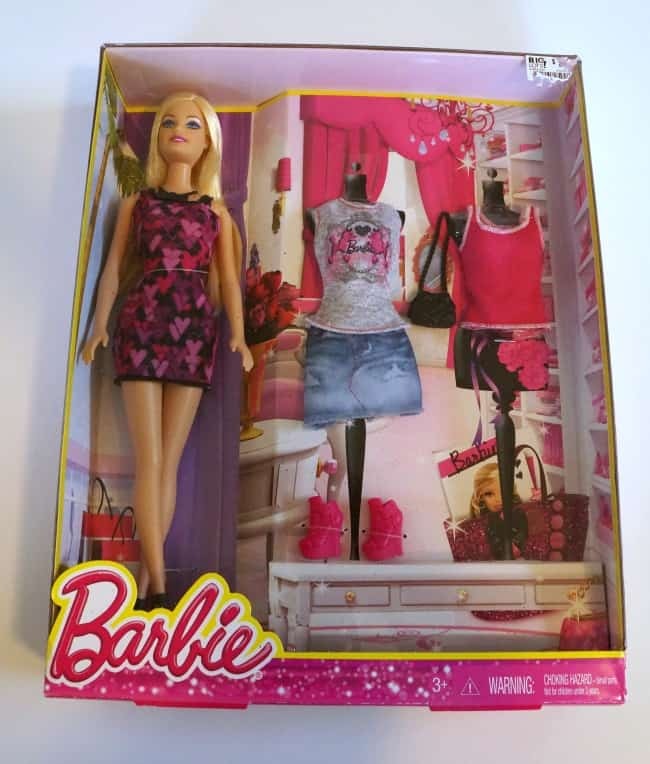 I picked up a Barbie with a couple of outfits that my daughter or any young girl will love. They had a nice selection and I was able to get just the style I know she likes. There is always something tasty at Big Lots. Outside of their regular grocery items I found candy, hot cocoa sets, popcorn, tea and so much more specially packaged for the holidays. 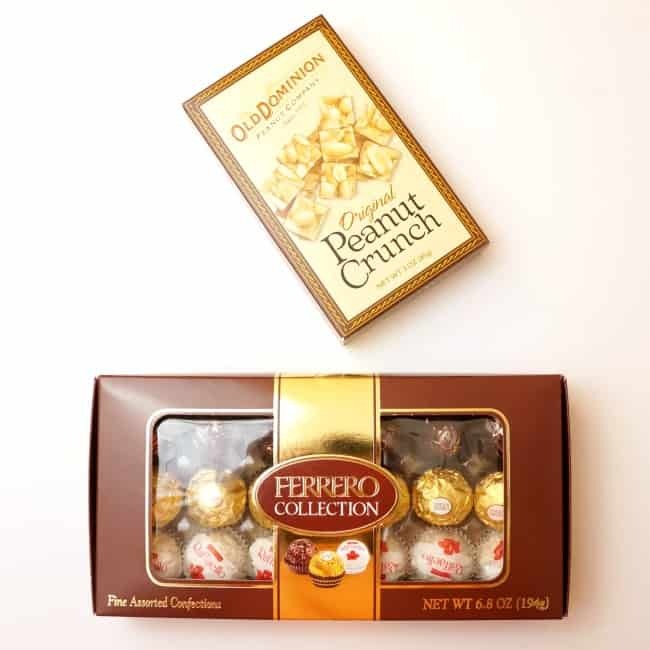 I grabbed my Father-in-law’s favorite peanut brittle and some truffles for a secret santa. These are delicious brand name items at a great value. Big Lots has an assortment of items to keep your loved ones and warm and cozy this winter. From slippers and robes to blankets and scarves, a gift in this category will please quite a few people on your list. 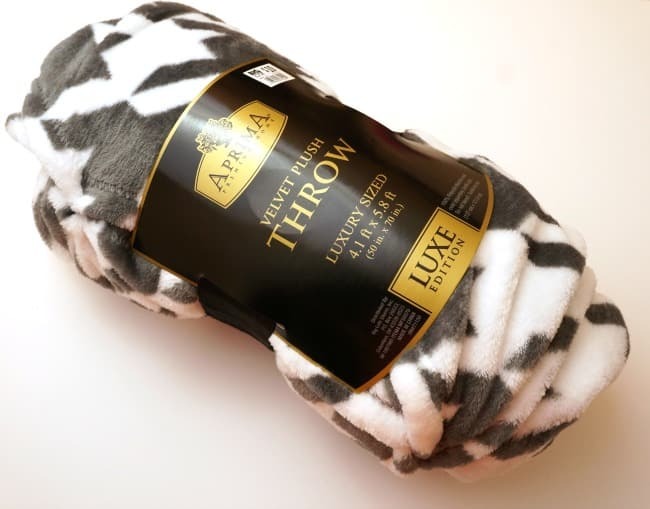 I purchased a cozy fleece blanket that a special someone will love. This blanket comes in dozens of patterns and colors and there are even character versions for the kids. Receiving a thoughtful gift is wonderful, but I think it adds so much more to the gift when you take a little extra time to wrap it up in pretty paper with a few embellishments. I found some bright and fun wrapping supplies at Big Lots that will work for all my gifts this year. 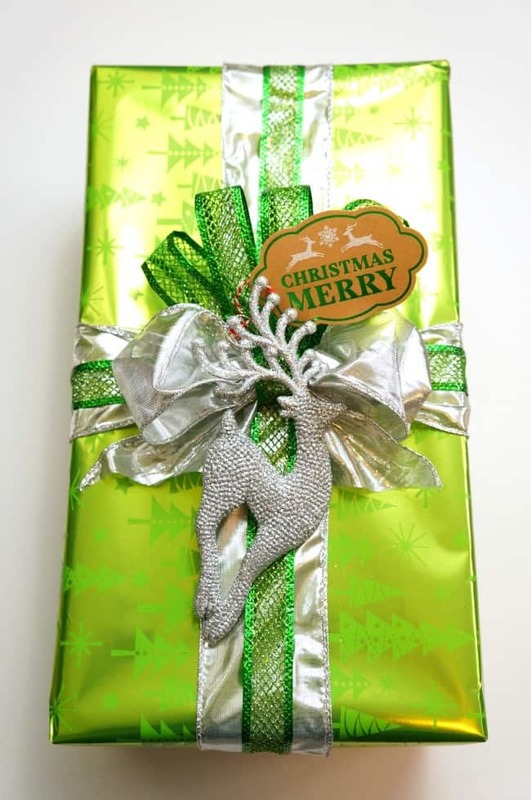 I can mix and match all of these wrapping items to create stunning gifts. 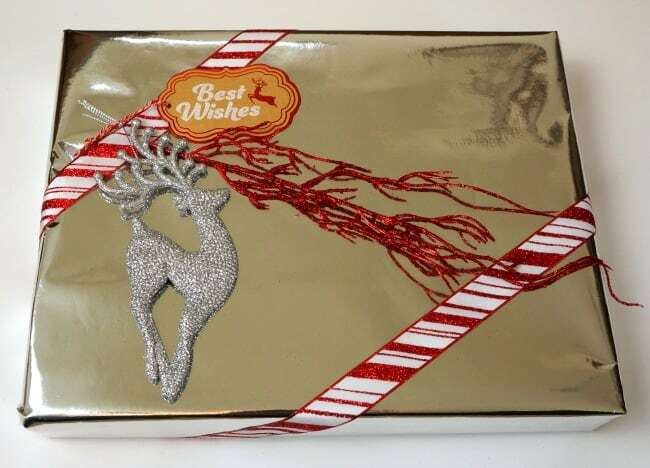 Buy wrapping paper, ribbon and embellishments that coordinate so you can mix and match as you wrap. 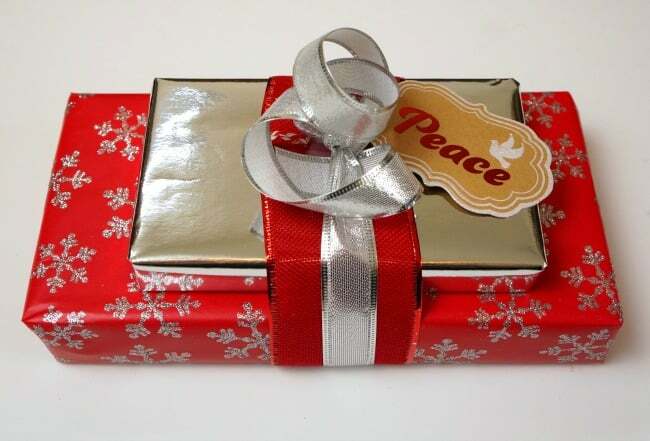 Use 2 different size ribbons to tie up your gift and add some interest to the bow. Add an ornament or floral sprig to the gift to top it off. Use a pretty tag to address the gift and write a short note. Big Lots has been good to me so far this holiday season and I will be going back for a few more gifts. I know I can get high-quality items and stay in my budget. 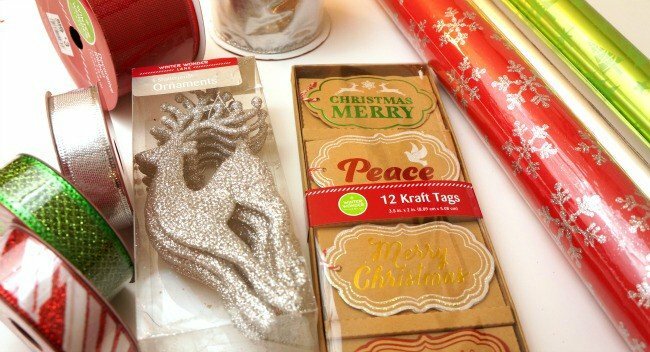 Stay up to date with Big Lots and all their holiday items on Facebook, Twitter, Pinterest and Instagram. Have you started your holiday shopping yet? Tell me about a gift you are excited to give this year?